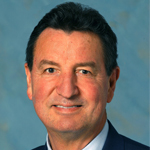 Fred Miller formed his own consulting business after retiring from Marriott International, Inc where he held the positions of vice president, global sales and vice president, travel industry relations. Based at Marriott’s headquarters in Washington D.C. Mr. Miller was responsible for establishing and maintaining the global sales offices and general sales agents in Europe, Middle East, Africa and Asia/Pacific and for positioning Marriott as a leader on issues that are vital to those travel industry sales professionals in their ever changing marketplace. He was responsible for developing and executing Marriott’s travel management company, retail travel agency and wholesale strategies and programs and building business in new emerging travel markets. Mr. Miller, a leader in the lodging industry, joined Marriott in early 1997 as a part of its acquisition of the Renaissance Hotel Group. He began his career in Atlanta as national sales manager with Holiday Inn and made the decision early in his career to specialize in business development and travel product distribution. Since then, he has held positions of increasing business travel sales, revenue management and reservations responsibilities with Stouffer Hotels with Renaissance. Mr. Miller created the Marriott International Hotel Excellence! travel agency training program which now has over 150,000 travel agent graduates, the Marriott Preferred Travel Agency program which is the only tiered commission program in the hotel business, and the “pay for performance” model for travel management companies which now has become the standard for the industry. He is a leader in the development of wholesale automation linking hotels to wholesalers’ point of sale systems for contract management and reservations and wholesale remittance programs. Mr. Miller is a native of Charleston, S.C., and a graduate of North Georgia College. Between 1965 and 1967, he served as a first lieutenant with the U.S. Army’s 25th Infantry Division in Vietnam. Mr. Miller has received his Certified Travel Counselor and Certified Travel Industry Executive designations from the Travel Institute. Mr. Miller was on the Board of the Tourism Cares, National Business Travel Association and Travel Industry Association of America. He was a member of the American Society of Travel Agents (ASTA) Allied Marketing Council, and the Pegasus Advisory boards. He is a past chairman of the Institute of Business Travel Management. He also served as the President of the NBTA Allied Council. In 1993, NBTA named Mr. Miller Allied Member of the Year. In 2008, he received a lifetime achievement award from ASTA. Mr. Miller and his wife Judy reside in Cambridge and Potomac, Maryland.